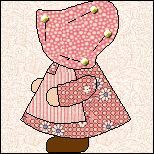 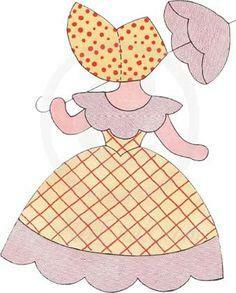 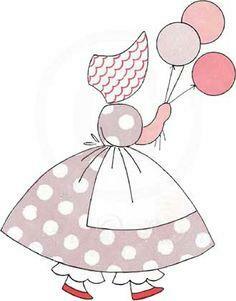 Sunbonnet Sue is a timeless creation that has been used by sewers and quilters for decades. 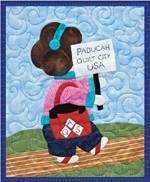 These 18 free Sunbonnet Sue quilt and appliqué patterns come in many shapes and sizes for simple decorations on a shirt to advanced quilts. 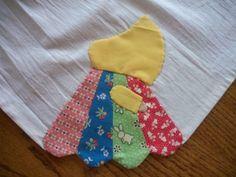 These simple shapes can be made with remnants from your stash and look great made with retro floral prints. 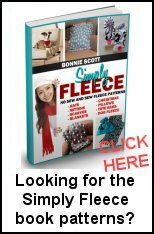 Mix and match colors and patterns to add interest or pick a single color theme. 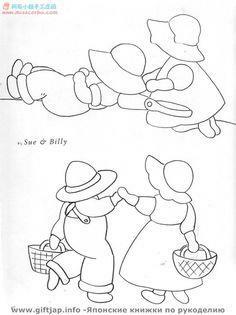 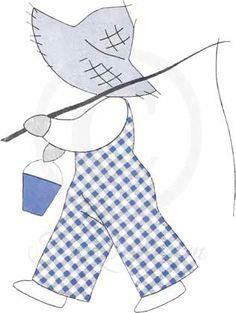 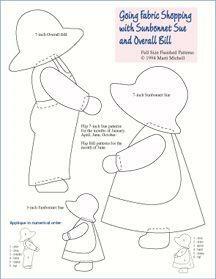 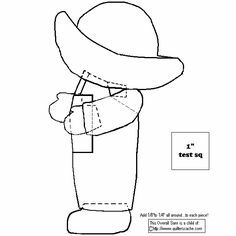 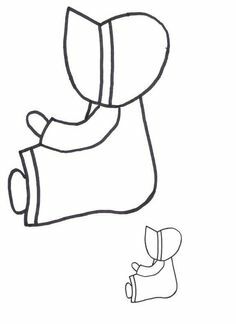 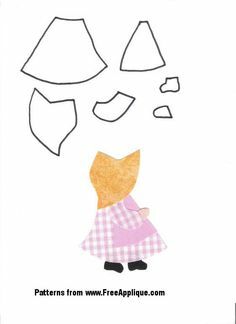 Free Sunbonnet Sue appliqué patterns are a great addition to any sewing collection of designs and will be used again and again to decorate clothing, wall hangings and quilts.